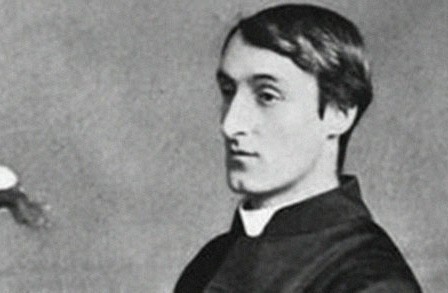 Gerard Manley Hopkins [1844-89] has been one of the most influential poets of the modern era. An experimenter in rhythm and imagery, and a painstaking craftsman whose efforts went largely unappreciated until a generation after his death, he was also a man of deep faith and remarkable religious vision. The combination of sensitivity to the beauties of nature with Hopkins’ desire to return all beauty to God, beauty’s author, led the poet to an integration of the natural and supernatural in his work which has been a major contribution to Catholic literature. This same sensitivity and desire, however, led Hopkins to renounce indulgence in beauty, and even in poetry, for fear it would lead him away from his ultimate end. It is this renunciation, which bears a paradoxical relation to the quality of Hopkins’ poetry, which Peter Hunt explores in the article below.